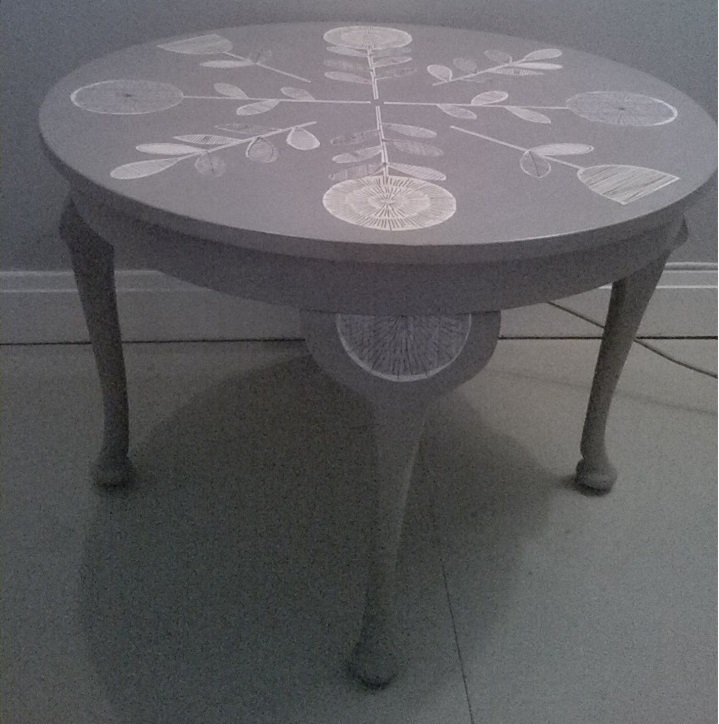 Found in our local junk yard, this round table had a damaged top which needed some TLC before upcycling. 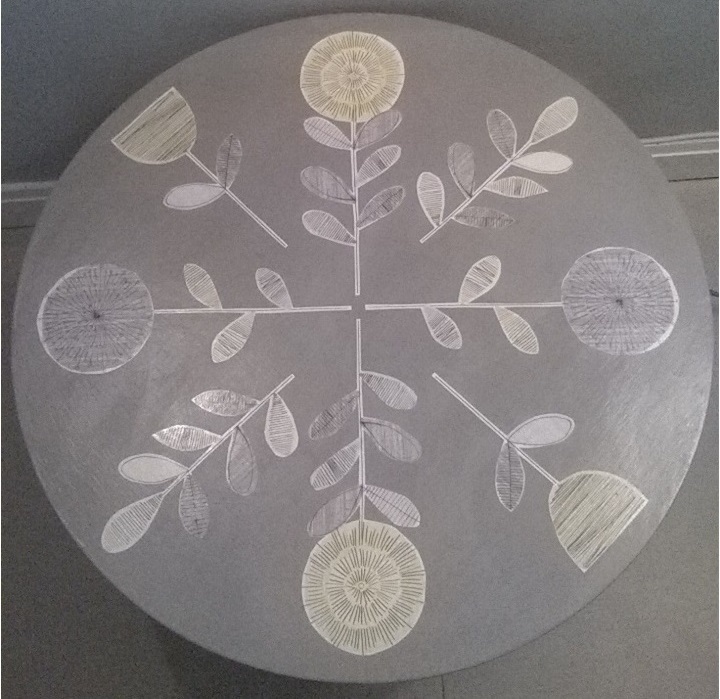 We used grey chalk paint as a base colour, and the round shape has been complimented with a bold decoupage design in shades of lemon and grey. 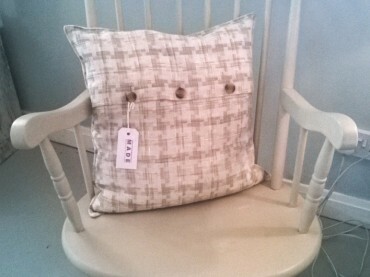 CONDITION…we love finding well made pieces that have been a little neglected or damaged over the years for our upcycling projects. 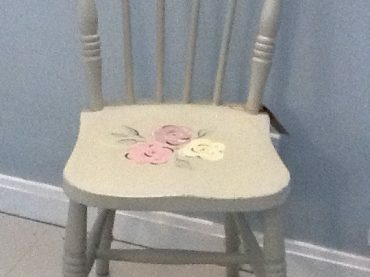 As a vintage item there may be minor scrapes or dents, and gentle distressing adds to it’s character. 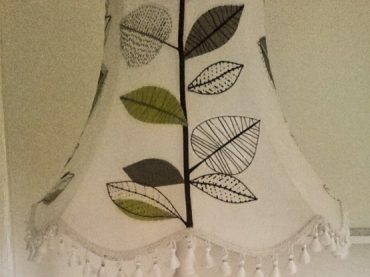 PAINT FINISH…bespoke colours are created using CHALK PAINT MIX with regular emulsion to suit each item. We include a small ‘touch up’ pot of the unique paint colour with every sale in case of future accidents. Every item is finished with clear wax or clear varnish to protect the decorative surface. COLLECTION & DELIVERY…items can be picked up from our studio in Cockenzie House near Edinburgh, or delivered FREE throughout East Lothian. We can also arrange delivery throughout the UK …..contact us with your postcode for a no obligation quote.